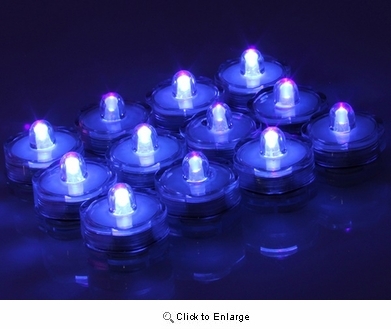 These LED lights are waterproof, candle-like,long lasting LED lights. It comes in 4 different colors, white, blue, red, and RGB. It can be set under water to lighten a romantic atmosphere. 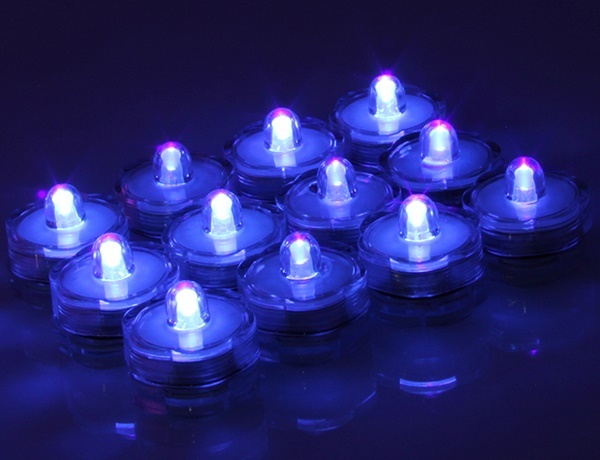 All LED lights are re-useable. Batteries are included.